Ideal for short-run, full-color brochures, flyers and marketing collateral. 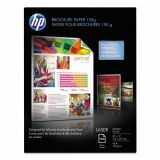 HP Color Laser Glossy Brochure Paper, 97 Bright, 40lb, 8 1/2 x 11, White, 150/Pack - High-end, glossy paper offers increased brightness for breathtaking vivid photo and image quality with unmatched consistency and reliability from start to finish. Heavyweight paper also provides high opacity for an impressive look and feel. Eliminate show-through and print expertly on both sides, thanks to the thickness. Porous coating and base paper formulation allow moisture escape during fusing to reduce blistering. Special slip agents in the coating promote superior processing in most environments so you keep paper jams to a minimum. 40 lb. 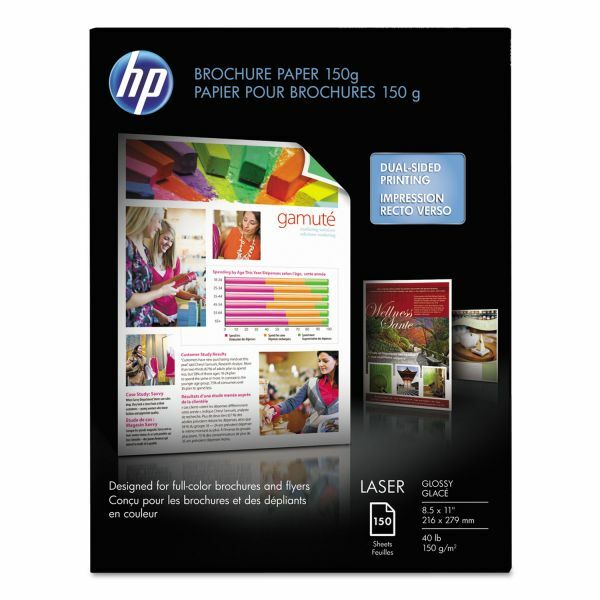 paper is compatible with most laser printers and copiers.